Prepared by McIntosh Gallery staff in August 2014. Presented to the McIntosh Gallery Committee in September 2014. 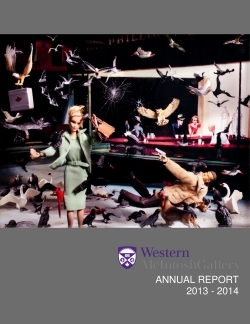 For more information about our annual reports or to receive information on reports from previous years, please contact us at 519-661-3181 or mcintoshgallery@uwo.ca.